The beginning of the tour in English takes place daily at 9:30 am. Tours in Spanish and French begin at noon on Tuesday, Thursday and Saturday. The tour takes place in the late morning hours. We are comparing Barcelona 2-hour Gothic Walking Tour Prices from leading ticket suppliers and Try to find you Cheap tickets prices on the market. A journey through history and art of the capital of Catalonia. A discovery tour of Gothic Quarter's architectural gems, historic monuments, popular eateries and stylish stores. The guided tour reveals everything you need to know about the famous district of Barcelona. A walking tour that introduces charming streets of the historic neighborhood and its hidden jewels. A general overview of one of the oldest districts of Barcelona. If you are interested in the city of Barcelona, its history, art and culture, booking this guided tour is a must for you. Furthermore, the tour introduces various buildings, renowned for their beautiful architecture, and monuments, underlining their significance. Finally, learn what eateries and shops are popular in the neighborhood. 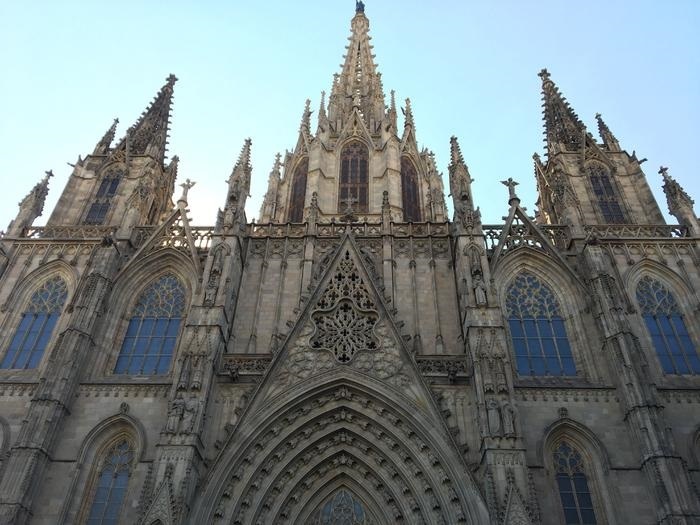 Your Experience With Barcelona 2-hour Gothic Walking Tour? Walk the historic Gothic Quarter of the Catalan capital and learn interesting facts and stories about the neighborhood from a knowledgeable guide. Tour the top attractions of the quarter and other noteworthy places you shouldn't miss during your stay in Barcelona. Get insights into where you can eat delicious tapas and find fashionable shops in the area. Discover remains of the Roman rule over the city and gorgeous Christian churches. Envision the magnificence of medieval Barcelona. What Barcelona 2-hour Gothic Walking Tour Includes? A walking tour of Barcelona's city center. A tour guide that is passionate about sharing knowledge about the city. Plaça Reial is among the hotspots of Barrio Gotico, where various concerts take place. Taking the Gothic Quarter tour is especially recommended for the early stage of your trip to Barcelona. Els Quatre Gats is among the most popular bars in the neighborhood since the time when Pablo Picasso held an art exhibition here. Travelers Reviews about Barcelona 2-hour Gothic Walking Tour? Travelers that took part in the guided tour state that it is incredible to span many centuries during a short walking tour. Some of them have a great opinion about the tour guide, who was careful not to lose a single guest in crowded areas. A number of participants commented that they have visited some interesting places they were unlikely to find on their own. Tourists appreciated the size of the group, which counted just enough people for a great experience. Please inquire at the provider whether the tour is suitable for people with disabilities. Printed and mobile tickets are accepted for taking part in the Barrio Gotico guided tour. The cancellation policy allows you to receive a full refund for cancellations at least 24 hours in advance. Wear comfortable footwear suitable for strolling. The guided tour concludes at the original point of departure.